The tragic and avoidable death of six-year-old Jack Adcock has been publicly acknowledged to be due to a systemic failure at Leicester General Hospital, but in a landmark ruling, the High Court has overturned the decision of the GMC’s own Tribunal service (Medical Practitioners Tribunal Service), instructing the GMC to strike the doctor off the medical register. 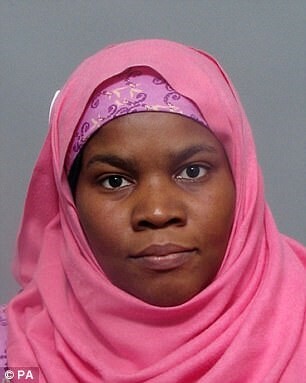 The case of Dr Hadiza Bawa-Garba, who had just returned from maternity leave and was working in an under-resourced department, illustrates the failure of the medical regulator, the General Medical Council (GMC), to take a full account of the failings of the hospital where she worked as a paediatric registrar. The case makes plain that the GMC has once more ignited a debate on individual rather than corporate responsibility, a culture of blame and retribution rather than learning from mistakes and reflective practice. In the current crisis-striven NHS, there must be many instances where failing departments are putting front line clinicians at risk of their livelihood, with the potential for causing unintended consequences or harm to patients. The case has already sent shock waves around all medical establishments and the NHS. The GMC must now urgently inform employers that no medical trainee must work in an unsafe service and ensure that all medical practitioners are made aware that they must work within their defined limits of clinical responsibilities. The absence of clarity on clear guidelines about escalation process, the inability of individuals to exercise a choice not to work in understaffed units which are unsafe for patients and the ease by which employers can abdicate their own obligations are all matters that require immediate attention. Furthermore, we expect the GMC to review the future role of its own legal arm, the Medical Practitioners Tribunal Service, which it has publicly rebuked over this case. In view of the electronic portfolio of Dr Bawa-Garba being used as an instrument to prosecute her, the GMC should also make sure that trainee portfolios and medical appraisal documentation are discontinued with immediate effect until there is clarity on whether these are public property. BAPIO also has serious concerns that the GMC’s role in this landmark decision will adversely affect medical recruitment at a time when NHS is desperately short of doctors. With the increasing need of recruitment from abroad this decision puts international medical graduates at higher risk. British Association of Physicians of Indian Origin (BAPIO) is a national voluntary organisation established in 1996. It is a membership organisation, representing over 60,000 doctors of Indian origin working in the NHS. The association has been providing a voice and support to its members. Over the years the Association has grown in stature and influence. It is represented through active Divisions covering all the English Regions as well as Scotland, Northern Ireland and Wales.